Dr. Agnes Bilog is a developmental/behavioral pediatrician who completed her residency training in pediatrics at the Children’s Hospital of Wisconsin (affiliate of the Medical College of Wisconsin) in 1996. She pursued her fellowship training in developmental pediatrics at Long Island Jewish Medical Center in New York. She is board certified in neurodevelopmental disabilities. 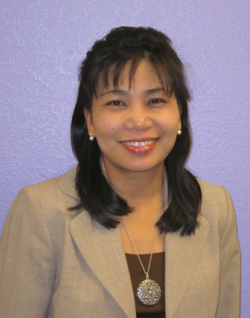 Prior to joining us in 2005, Dr. Bilog was on staff at the Growing Place at Heartspring in Wichita, Kansas. Dr. Bilog enjoys working with children with developmental and learning problems, ADHD and providing follow-up care of high risk newborns.